@jakkusun wrote: @panki Oooh Yeah her mother was Death Watch! (didn't even notice that when I watched the episode cause I haven't seen the mandalorian clone wars episodes yet) According to my research, Death Watch was pretty tiny by the time of the OT? idk if she could be the leader of it? It depends on if it is still around? idk Sabine told the other Mandalorians that she wasn't Death Watch, just her mother, but you are right this is probably gonna be a huge part of her story, since they teased it as part of her family/past. And Maul has a history with Death Watch, too, lol. Thanks... I love the fantasy genre in general and the SW stories have so many hidden elements and mysteries...I love trying to piece them together and coming up with possible scenarios. We know that her mother is one of the death watch.... which makes two characters potentially her mother. 1. 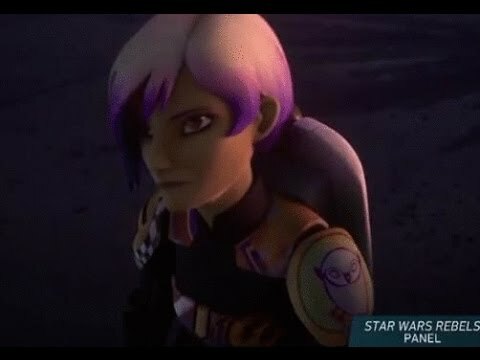 Bo-Katan: Sabine mentions that she was given her Night owls helmet by an unnamed person in her Rebel Sketchbook.....Bo-Katan's helmet is identical in design to Sabine's helmet. 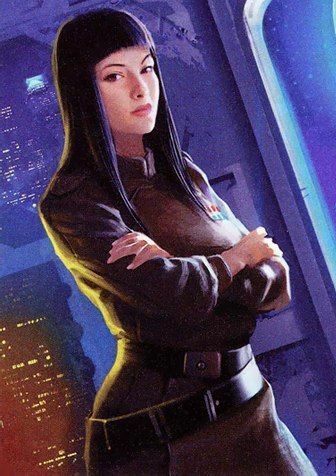 Bo-Katan was Pre-Vizsla's lieutenant... she might have married someone in clan Vizsla and given her daughter a name resembling that of her sister....Also, this would make her duchess Satine's niece, connecting her to an important Clone Wars character. 2. Rook Kast: Some say she could be the mother...she was helping Darth Maul run the Death Watch....she could have had a child with Pre-Vizsla and this could be Sabine. Her helmet differs from Sabine's design slightly as it has horns on it. You are right about Death Watch... they operate off some remote planet during the time of the Empire... I wonder if they might join the rebellion because of Sabine.... I would love to see more of the mandalorians in season 3. I don't much like the look of Ezra's hair (as previously stated xD), but I think a change was in order. 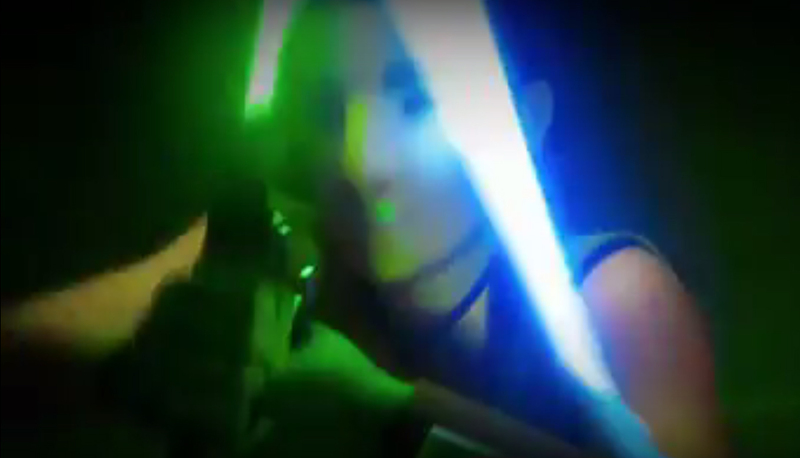 This makes him look much older and more mature, and those saber flips are so bada**! In all honesty I haven't finished season 2 yet so I better get on that before season 3 starts. I absolutely love Rebels, but my internet isn't the best and it's often too slow to stream video. I don't even know what channel it airs on. Disney XD? Must be. Oh I love all those ideas! I just got to the first Mandalorian episode, so I'm excited to learn more about Mandalore especially if it will be in season 3. Hopefully I'll have more to contribute to discussion about it, then. Idk if they are the exact same droid or not, though. But it's still cool. AP-5 was a part of the clone wars, and then an imperial droid at first, which is interesting because that would make his design pretty old? And, this silver droid is either AP-5 or probably imperial. Eh, even if it is the same droid he won't be an important character, just a small connection. It could be AP-5 or it might even be Omri (0-MR1) who might be newly created during Rogue One.... he was an imperial droid who later belongs to the FO and appears as one of the main characters in the C3PO comic....do you remember C3PO had a red arm in TFA? 2. We will see the Rebels return to the Mandalorian planet of Concord Dawn, which is coincidentally Bona Fett's planet. Sabine finally gets a jet pack. 3. Thrawn is canon. The force repelling Ysalamir lizards he carried in the EU are not...but depicting them was a nice touch. 4. Kanan is talking to a creature called Bendu. 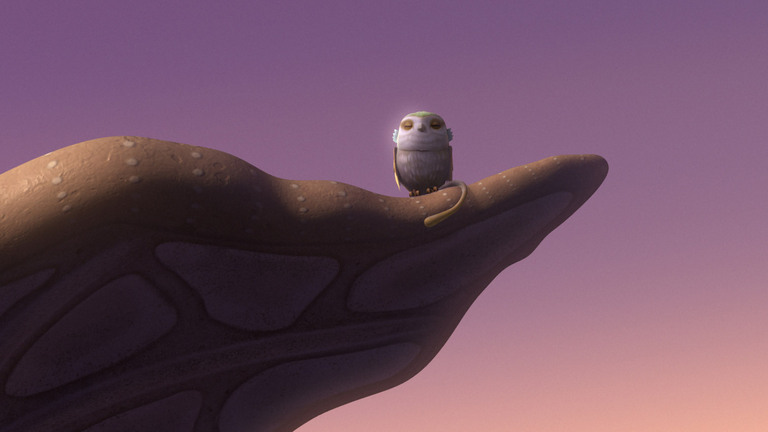 The Bendu might be a way of bringing the Dai Bendu order into canon. This order studied the force and created the jedaii order (both light and dark side of the force were followed in a balanced manner). 5. Hera will get captured by the imperials. 6. Sabine is wearing an owl-like design on her arm instead of the firebird design.. is it a convoree in memory of Ahsoka? 7. 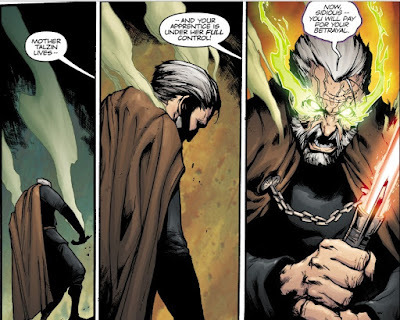 The Nightsisters are back in some form and Kanan is getting possessed by a Nightsister spirit (just like Dooku was possessed in the Son of Dathomir comics). The Cantata of Cora Vessora, an Old Republic opera of a dark witch on an unnamed world who refused to become Jedi—but neither would she join the Sith. It is a tale of birth, death, and all the glories found between those poles: love, passion, war, and above all else revenge. Revenge against the Sith who took her loved ones. Revenge against the Jedi for standing idly by and refusing to protect her because she would not join their ranks. Revenge against the galaxy for being as imperfect and impure as she had feared. The tale itself was something he didn’t learn until much later. The story mattered, of course. 8. Sabine is holding the Darksaber. She is definitely either Pre Vizsla or Bo-Katan's daughter... I am going to say Bo-Katan because her helmet looks like the one worn by Bo-Katan and her name sounds like Satine so she could have been given a name resembling that of her aunt. 9. 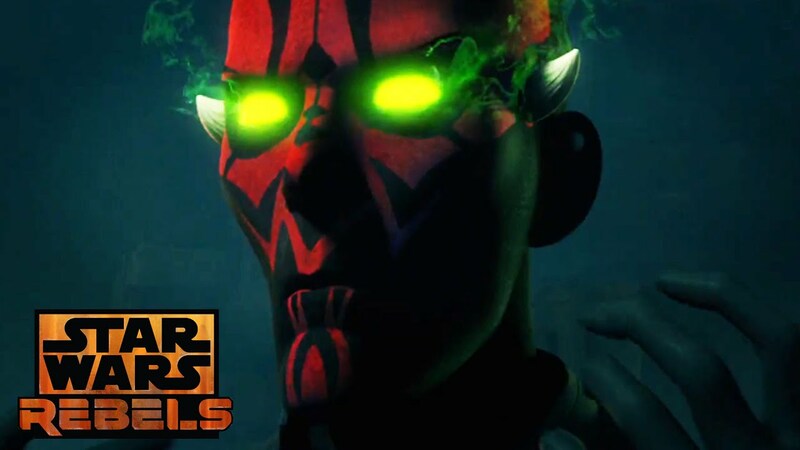 Maul and Ezra try to combine the sith holocon and the jedi holocron with some explosive results. This looks like an early attempt to combine the light and dark sides of the force. 10. 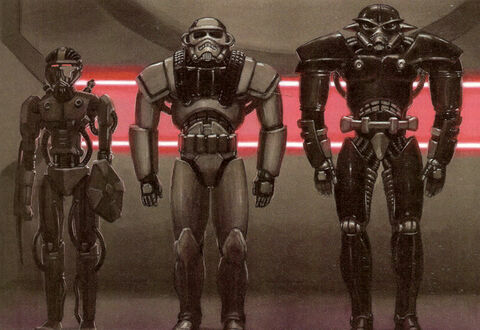 Dark troopers (phase I?) make an appearance....we'll see later phases of them in Rogue One. 11. Ahsoka is no longer Fulcrum....someone else has taken up this role and the new Fulcrum has a male voice. It is rumored to be Agent Kallus who might have had a change of heart and joined the rebels. 12. There is a female Imperial officer who talks to Tarkin. 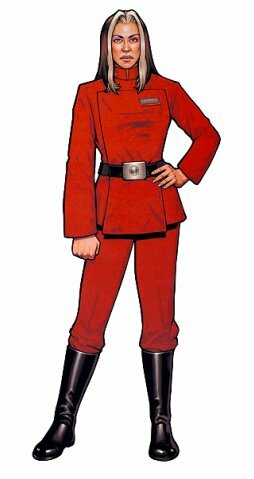 I didn't hear her name properly but she might be based on either EU characters Major General Tessala Corvae or even better, future Director of Imperial Intelligence Ysanne Isard. Chaim Syndulla seems to be in one of the frames..... looks like we're seeing Ryloth again....and has Maul turned Rebel? I don't watch Rebels much. Only episode i watch is season 2 finale where Maul debut in Rebels. This season is seem going to be a blast. 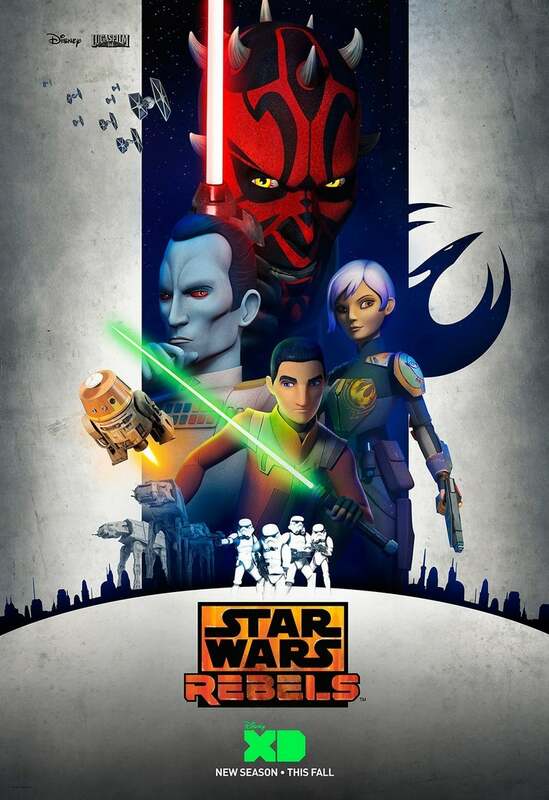 Just wild guess, I think Dave Filoni might know central theme what will happen in sequel trilogy (Episode 7, 8 and 9) because in season 1 there scene lightsaber calling just like in TFA and in season 2 finale Maul and Ezra solving the puzzle using the force in the temple to get an artifact. Considering there's rumor that Rian Johnson inspiration for episode 8 is Raider of the lost ark maybe this will happen with Rey in first jedi temple. And whatever happen in this season (Something about mandalore and protagonist involve with dark side of the force) might happen in Episode 9. Rebels and Ezra story might mirroring sequel trilogy story. The ride never ends, Another wild guess. Ezra look like Galen Marek lol and Kannan blind like General Kota in Force Unleashed. I play Force Unleashed in PS2 and if his pilot fall in love with him in the season finale. His fate is totally not good. Just wild guess maybe one of them become true in the future or none of them become true at all. Is this right section for discussing Rebels ? 1. We could see all the pirates, smugglers, underworld figures, bounty hunters in the story- stories related to Sidon Ithano the crimson corsair, Bazine Netal as an agent of the FO, the Hutts and their associates etc. 2. A young Ben Solo and his fellow students could appear briefly in some episodes (think Harry Potter and his friends visiting Rosmerta's place for butterbeer)... conversely, it could be a young Poe who visits the place after becoming a pilot with BB-8, Kare and Snap Wexley. 3. Unkar Plutt could land up sometime and we could find out about either how he got the MF or get some clue regarding Rey's origins. 4. There could be brief appearances by Han (maybe we will hear him telling Maz his version of the events at the temple) Leia and even Luke. Even Lando can make an appearance. 5. The story of how the legacy lightsaber got into Maz's hands could be depicted. 6. A young Hux, Phasma or even the Amaxine worriors could show up in the story and create trouble. I have 2 episodes left to watch on Season 2 of Rebels. I have a big complaint for Disney. Why are they making it so difficult to find it from Germany or France? Why? If you don't have the Disney channel, you barely have any option left whereas Clone Wars is all over the place. I had to download season 2 from the French itunes store, paying 30 box for a dubbed version. It really annoys me because I love Hera's voice in the OV. I hope they keep Ashoka in Rebels. I like her but I cannot watch Clones. I dislike Anakin. 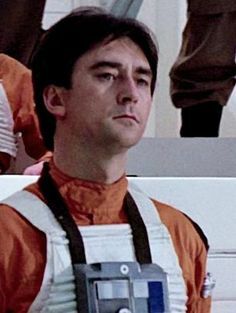 If there is one character I dislike in SW it's him. It's really annoying because I am missing out on Ashoka and OB1. I am still trying to figure out why I like Rebels. The audience are children. The lesson for each episode is pretty much what you teach children - and you don't follow yourself as an adult The dialog is far from great. I am not too fond of Ezra - reminds me of Anakin sometimes. But I still like it and I watched 20 episodes in 4-5 days. I think the main issue is due to the format of 20 minutes. They are sometimes rushing and I wish they would delve a bit deeper into the emotions of the characters. Sometimes they do and I enjoy those episodes much more. 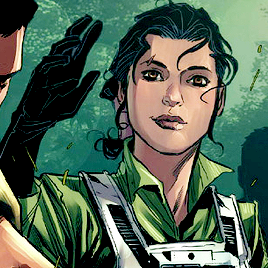 I love Kanan and Hera. That scene where they embrace in front of a sunset is so cliche but I nearly cried. I am not even sure why I like these two. A mystery. I find them endearing and usually I don't like cotton candy stories. I especially loved that episode with Agent Kallus and Zeb are stranded on the ice planet. When at the end Agent Kallus goes back to his room and sits on his bed looking desillusioned. His solitude in that moment is overwheling. I immediately thought of Kylo. I must say that I really enjoy that Lucasfilm is giving us another perspective on the enemy. Agent Kallus is not a mean person. His motivations come originally from a good place but he does awful things. He pretty much admits to Zeb that there are things the Empire does that he's not happy with. I just saw the last 2 episodes of Rebels. I watched the 22 episodes in less than one week... I want Season 3 now! I shed a few tears during the confrontation Vader Ashoka. I don't watch TCW but I do like grown-up Ashoka. Love her fighting style too. Maybe I'll give a try to TCW but then I am not too into teenagy would-be Jedis. I am also not fond of Ezra. I prefer to see grown-up Ashoka again. After this I officially hate Anakin's g** more than ever. Honestly I will never accept his last-minute redemption. In my world he died unredeemed. That he was allowed to be a Jedi ghost is very telling about how screwed up the Jedis were. You say you're sorry once and you're part of the club again. I'll stay with the Ashoka's of this world, thank you. At least she's trying. I am so glad someone else shares my views on Anakin!!! I see characters like that little padawan boy on ROTS dying while saving Bail Organa or Kit Fisto, Plo Koon etc not end up as force ghosts despite leading exemplary lives....and Qui Gon Jinn who knew how to become a force ghost who dies in the middle of the pricess only ends up as a voice....but Anakin who was power hungry, over emotional, moody and later turns into a mass murderer for nearly 2 decades gets a free pass to become a force ghost because of one unselfish act? It makes zero sense to me! I looked for an explanation for this and read somewhere that Anakin was taught how to become a force ghost after his death.... which is the dumbest explanation there could be! This is a really interesting conversation and makes you wonder whether Vader truly redeemed himself.If you think about it what many Reylo fans don't want to see is Kylo redeeming himself for Rey's sake and not his own change of heart already happened with Luke and Vader.He ended up sacarfising his life to save his son but we never saw him have a change of heart because he reaizied what he's done is horribale(at least in the movies the other materials probably explored that). While the Luke/Vader scenes in RTJ aways makes me emtional his redemption in the last minute just doesn't work which I think comes from the fact that Lucas made Anakin so unlikable in the PT.I guess I understand what he was trying to show that contradicted the kind of person Obi Wan descibed to Luke in the OT which is probably one of the reasons why people accepted his redemption and death more easily.But now knowing the astrocaties he commited it would have worked so much better if GL had went with one of his original plans with Luke pretending to join the Emperor and he and Vader stopping him from destroying the Rebellion/using the DS. I really hope Rey doesn't fall into the trap Luke did with Vader by idolizing Ben and seperating him from his Kylo persona. I think the point of Vader acknowledging the existence of the light inside him was because he felt remorse for his actions...of course some people feel like he didn't live long enough to atone for his crimes, but he sacrificed his life to save his son and killed the Emperor thereby destroying the empire, but I like to think that he felt remorse for his actions at the end and he paid for his crimes with his life by giving it up for a greater cause, he made the ultimate sacrifice. His son and daughter were able to live on and Luke was able to revive the Jedi, right? Actually I dont think Vader needed to have lived and atoned for his actions...but I just feel that the sacrifices of other jedi get trivialized if they dont become for ghosts but Vader gets the chance because he had a few minutes of remorse (and there is the fact that he never even refers to his daughter by her name even at the moment of his dying....at least Padme called her by her name once).. for example, take Depa Billaba in canon.... she sacrificed her life during order 66 so her padawan Caleb Dume could live... Caleb grows up to be Kanan Jarrus who spends years helping to set up the rebellion... why doesn't she get to be a force ghost? If they wanted to make Anakin a force ghost, they should have at least made it something that all jedi could become...then when his final sacrifice sent him back to the light it would seem plausible that he would become a force ghost.... but right now, the explanation is very flimsy..... hopefully Disney will find some way to remove these inconsistencies. Kallus becoming the new Fulcrum? I very much like that too. I really felt for him after the episode wih Zeb. Anakin is really the most inconsistent character in SW. When Ashoka says to Ezra that people were always surprised how nice her master was, I was like "what?" I do not watch TCW mainly because the couple of episodes I saw did not convince me. It looked again like another person. Everybody seems to try to mold him to fit the story. Will the real Anakin raise his hand, please? I can understand that people like him, he is a Skywalker after all, but personally I have a hard time grasping him and feeling for him. And yes the force ghost process is a shady one. So now you have to learn to become one? I would expect the Force to decide who becomes one and gets to provide advice to the living. I guess this is also the goal, right? Kanan would have needed advice from his master. But nope. She's not allowed to become a force ghost and Kanan must find his own way. And teach a pupil when he himself never got to finish his training. Where can I sign a petition against the Force? Coming back to the topic of death for the SW Rebels heroes and that rumor of Hera dying. I realized today that their chance of survival is slim. They are not mentioned in the OT which would be strange if they still are part of the rebellion. Obviously, Lucas did not know about them but it does raise some questions on how to solve the fact that they are nowhere to be seen or heard of at that point. Unless you keep their story going in the background of the OT, but then Luke cannot be the last hope as a force user... Maybe they already have a set deadline of 5 years - the 5 years leading to ANH - and most of them go out with a bang. If anything I would want Kanan and Hera to die together doing something great. @SanghaRen wrote: Kallus becoming the new Fulcrum? I very much like that too. I really felt for him after the episode wih Zeb. They haven't officially confirmed that Kallus is Fulcrum as yet but in the season 3 trailer, we hear the voice of a new Fulcrum telling the rebels about defecting imperials and he sounds a lot like Kallus. I'm also a little concerned about the future of the rebels....Ezra is now 17 so we can possibly expect one more season before the events of RO and ANH....I'm hoping the Ghost crew survive in some manner- but that might be hoping for too much. I can imagine Chopper and the Ghost ship surviving, maybe still with Ezra or some other new character. I also don't expect Kanan and Hera to survive the series, either dying together or shortly after one another....can't imagine one wanting to live without the other. Zeb and Kallus could survive and become background characters in the rebellion who might appear in an anthology movie, novels and comics. Sabine and Ezra have a good chance of survival at least till the events of ANH though I see Sabine shifting her focus from the rebels to helping the Mandalorians and we might slowly see her recede into the background....while Ezra would probably go to the dark side (I'm still hoping BDT plays an older and dark side Ezra) or join some other order of force users (especially if Kanan dies). I'm ambivalent about Ezra and Kanan. Hera and Zeb are my favourites in the Ghost's crew. As usual with SW-related stories, the Jedi/Force episodes are my favourites. 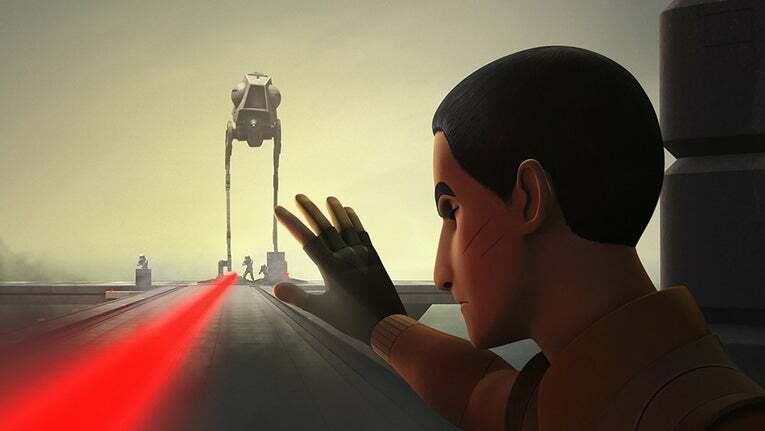 Ezra uses the force to control a walker from a distance. Dang. Also this poster is just really cool. Love the trailer and poster!!! Can't wait to see Ezra control the walker! Wonder if he is going to become more like Starkiller, but instead of studying under Vader like Starkiller, he becomes a student of the presence in the holocron. Another promo trailer with some new footage in it! @panki Yeah, I do wonder about the presence in the holocron. 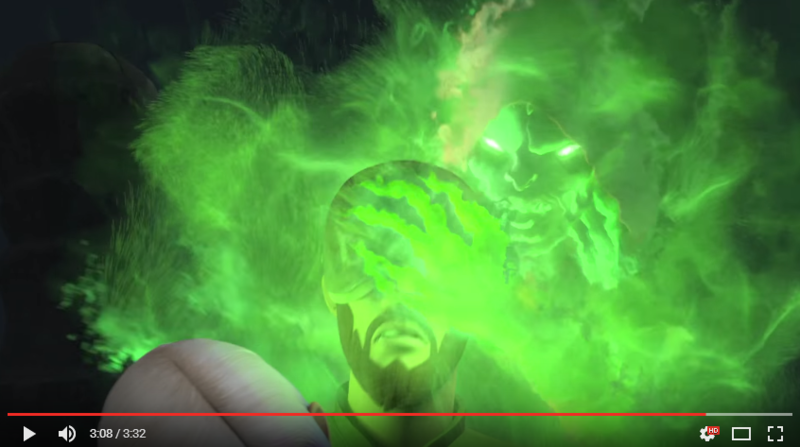 It looks like Maul and Ezra both do something with the holocron, and maybe that green magic stuff comes from it? 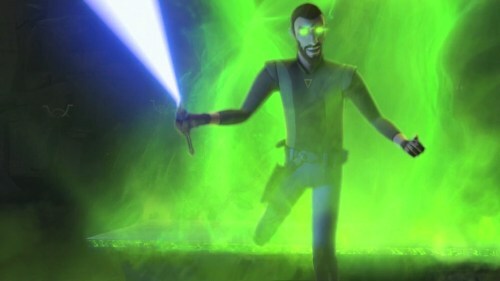 It looks like the green magic mist stuff possesses both Kanan and Maul. I'm honestly super confused, but I get the feeling Vader won't be involved much, either. I read somewhere that we wont see much of Vader since the villains/focus of the season will be Maul and Thrawn. I'm also a bit confused by all the green spirit mist....but here is what I think is happening. The events are happening on Dathomir, the main place of Nightsister magic. Maul may have captured/lured the ghost crew there and tried to get one of them possessed by Mother Talzin's spirit like he tried with Dooku. 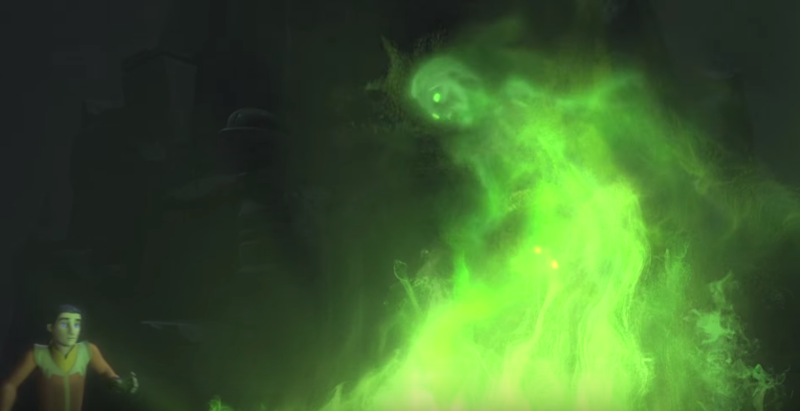 A nightsister spirit (Talzin or someone else)emerges. 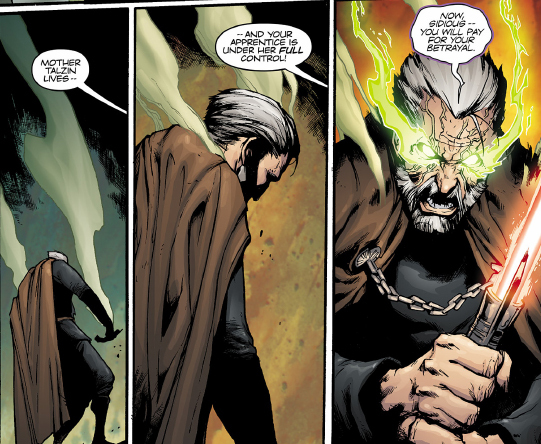 Possessed Kanan initially attacks Ezra (like how Talzin used Dooku's body to fight). 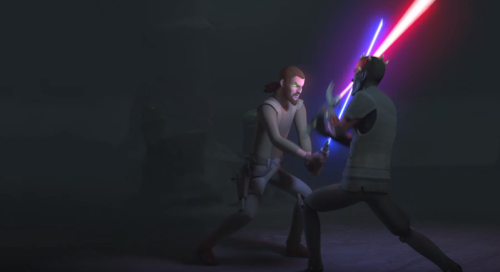 Kanan breaks out of the witches control and attacks Maul. Oh I think you are right! This looks so interesting! I'm very excited to see how this will all play out. I wonder if Ventress might be involved somehow as well, based on the ending of Dark Disciple? haha it would be nice if her spirit could come back to tell them all to knock it off or something. @panki That would be even better. Also, for anyone who wants to jump in and start watching Rebels Season 3 on Sept 24, here is a great recap of season 2, to get you ready. I think this is a new interview with Dave Filoni about Season 2? 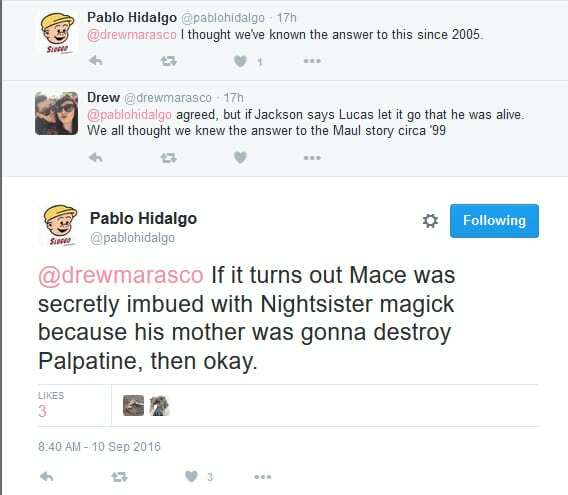 Interesting that he says he wrote a history about the Sith temple being built by an ancient, powerful Sith woman. And even though the voice sounded like Ventress (apparently it is actually her voice actress! I thought it was haha, idk if you already knew) it's just a nod to Ventress. (I wondered if maybe it actually was Ventres haha) Is that the same voice in the holocron, the one in the temple? I can see why you think Ezra might learn from her. I'd like to know more about the history Dave wrote up. Otherwise, it's just another great interview with Dave Filoni. I always love reading/listening to his thoughts.